Matthew Bannister on conductor André Previn, publisher John Haynes, spy Tony Mendez and businesswoman Lady Grantchester. 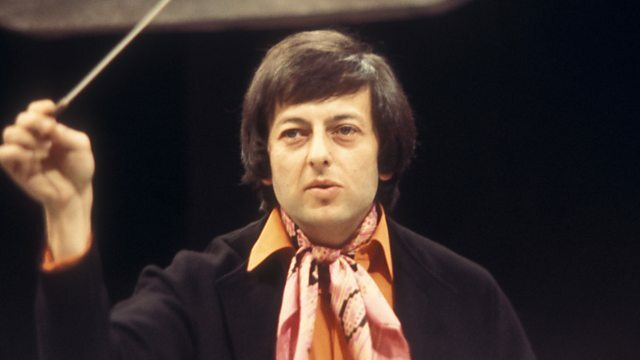 André Previn, the conductor and pianist whose repertoire ranged from the classics to film and jazz music. He took part in a celebrated sketch with Morecambe and Wise. John Haynes, publisher of the Haynes manuals which gave amateur mechanics a step by step guide to repairing their cars. Tony Mendez, the CIA operative who smuggled American diplomatic staff out of Tehran disguised as a film crew. The story later became the Hollywood film Argo. Lady Grantchester, who played a key role in the success of the Littlewoods retail and football pools empire. Archive clips from: Desert Island Discs, Radio 4 18/08/1996; How to Write an Instruction Manual, Radio 4 21/08/2009; Argo, directed by Ben Affleck, Warner Bros./GK Films/Smokehouse Pictures 2012. John Haynes was the publisher of the manuals which helped amateur mechanics fix their cars. André Previn: From jazz and film to classical plus that celebrated sketch with Morecambe and Wise. Born 6 April 1929; died 28 February 2019, aged 89. Last Word spoke to writer and broadcaster Edward Seckerson. Born 25 March 1938; died 8 February 2019, aged 80. Last Word spoke to his wife Annette Haynes. Born 15 November 1940; died 19 January 2019, aged 78. Last Word spoke to Peter Earnest, founding executive director of the International Spy Museum and a 35 year veteran of the Central Intelligence Agency. Born 8 June 1925; died 2 February 2019, aged 93. Last Word spoke to Professor Peter Toyne, the founding first Vice-Chancellor and Chief Executive of Liverpool John Moores University, and her sons, John Suenson-Taylor (Lord Grantchester) and James Suenson-Taylor.